Beds: 1 Double Bed. 2 Sofa Bed Simple. Style apartment, luminous, spacious and with a lot of character. Second floor, access through a corridor with many plants. 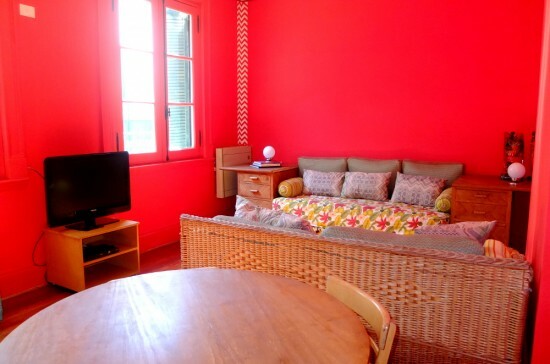 In the second floor, the double bedroom, spacious with a double bed and a large closet. Desk area. Access through a small hall.